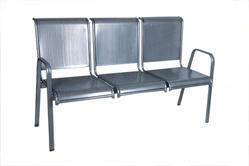 Prominent & Leading Manufacturer from Mumbai, we offer stainless steel multi seater chair, cushion three seater, stainless steel fiber multi seater chair, metal multi seater chair, multi seater chair and silver coated three seater. 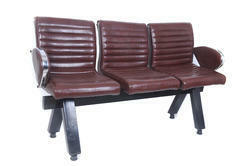 Our company is committed towards offering a high quality range of Stainless Steel Multi Seater Chair. The offered multi seater chairs are made with using finest quality stainless and modernize technology according to the whole market prevalent norms under the guidance of experts. The multi seater chairs provided by us are examined by quality checkers. 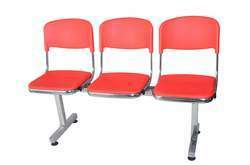 Apart from this, we are giving these multi seater chairs in numerous sizes at affordable rates. 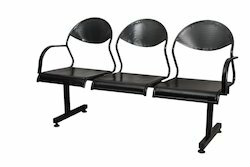 Our company is committed towards offering a high quality range of Stainless Steel Fiber Multi Seater Chair. The offered multi seater chairs are made with using finest quality stainless and modernize technology according to the whole market prevalent norms under the guidance of experts. The multi seater chairs provided by us are examined by quality checkers. Apart from this, we are giving these multi seater chairs in numerous sizes at affordable rates. 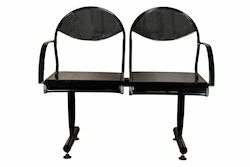 Our company is committed towards offering a high quality range of Metal Multi Seater Chair. 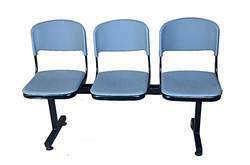 The offered multi seater chairs are made with using finest quality Powder coating and modernize technology according to the whole market prevalent norms under the guidance of experts. The multi seater chairs provided by us are examined by quality checkers. Apart from this, we are giving these multi seater chairs in numerous sizes at affordable rates.